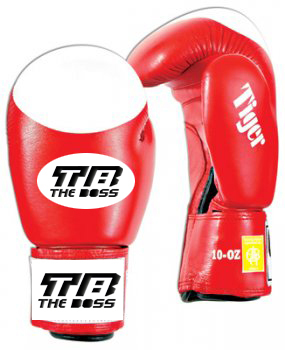 with AIBA & without AIBA Approved ....In genuine cowhide leather with pre-formed molded. leather/velcro strap closing. Available in Red & Blue with White Knuckles. For competition purposes. Size - 10-oz.